Cadence Design Systems, Inc. (NASDAQ: CDNS) has announced the availability of the industry’s first Verification IP (VIP) in support of the recently announced USB4 standard. The Cadence® VIP for USB4 enables engineers to develop standard-compliant system-on-chip (SoC) designs, completing functional verification of the design with less effort and greater assurance that the SoC will operate as expected. For more information on Cadence VIP for USB4, please visit www.cadence.com/go/usb4vip. The USB Promoter Group announced the pending release of the USB4 specification, based on Intel’s Thunderbolt protocol. This enhances the transfer of both video and data, while doubling total available throughput to 40Gbps. Cadence developed the new USB4 VIP based on more than a year of collaborative work with early adopters of this new specification. The collaboration with early adopters has led to the availability of a proven and mature verification IP that reduces design risks and shortens the implementation of the new standard. Additionally, the Cadence VIP for USB4 includes TripleCheck™ technology, which provides users with a verification plan that is linked to the specification and a comprehensive test suite to ensure compliance with the USB4 specification. “Cadence’s development of verification solutions for USB4 is a key step forward for the development of compliant designs and ensuring the continued growth of the Thunderbolt ecosystem based on USB open standards,” said Jason Ziller, General Manager of Client Connectivity Division at Intel. Cadence VIP for USB4 is part of the Cadence Verification Suite and supports the company’s System Design Enablement strategy, which enables system and semiconductor companies to create complete, differentiated end products more efficiently. 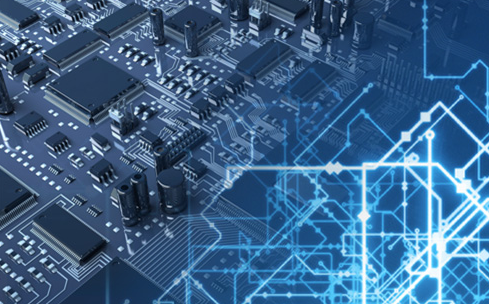 The Verification Suite is comprised of best-in-class core engines, verification fabric technologies and solutions that increase design quality across a wide variety of applications and vertical segments, providing the best verification throughput.